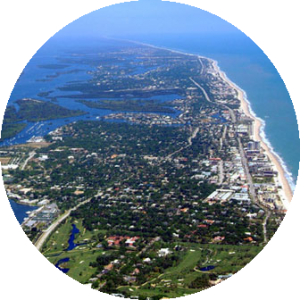 Vero Beach is an absolutely beautiful oceanfront community that is large enough for a robust commercial environment, but also small enough to feel like you are living in a small town. Vero Beach offers numerous shopping opportunities from large Outlet Malls to small family-owned shops and businesses. If you need any assistance with your commercial real estate needs in Vero Beach, please contact us.